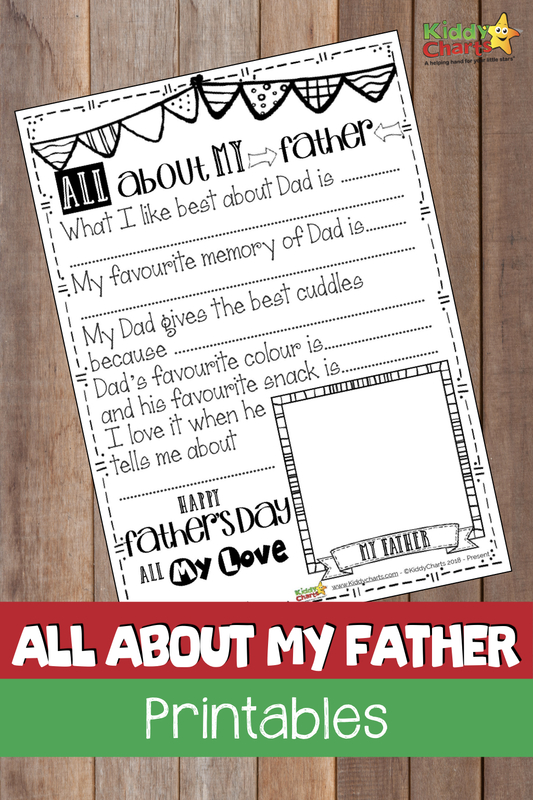 Last week we gave you a free Fathers Day certificate for you to give to Dad, but if that isn’t suitable, we are sharing another Fathers Day gift idea on the site for you today! This is also a really simple, but lovely idea for Dad on his special day. It is a black and white certificate, that the kids can colour in which talks all about Dad, and everything that he means to your child. What is their most amazing memory of their Dad too. 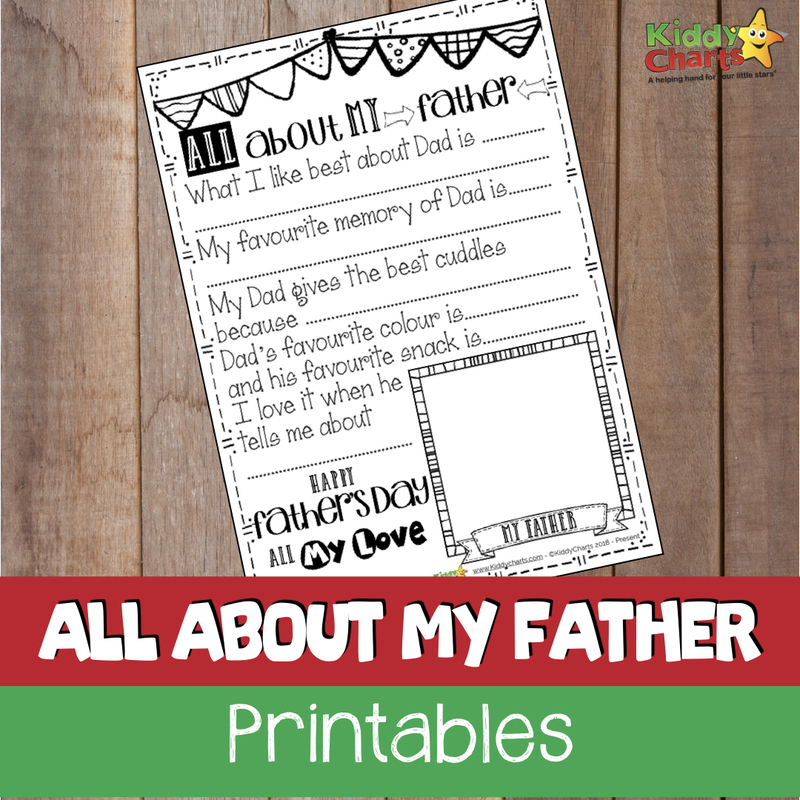 Not forgetting that there is also a lovely little space for the kids to draw a picture of their Father themselves; what more could you ask for in a Fathers Day gift? We think that this is a wonderful idea, and will be cherished by any dad that gets this on Fathers Day. To download, just click on the image below. If this isn’t what you are looking for on Fathers Day, then we do have some other gift ideas for you on the site that will be just as good. Why not check these out too? Another Fathers Day appreciation certificate. If you are making a gift, then you will also need some ideas for Fathers Day cards too, so how about these? Paper-towel tied eyed T-shirt cards from Happy Hooligans. Plenty of resources for you here for Fathers Day gift ideas, and cards to keep Dad hapy for another year, I am sure that you would agree. If you like this free printable, why not check out some of the other free resources for kids that we have on the site. We have everything from worksheets, to great colouring pages for the kids, and even some for adults too. We do have a mailing list, so please do join us so that you receive our articles on a weekly basis as we publish them. We cover everything from our free printables, to parenting tips, family travel, and reviews and giveaways. We do our best to give something to you all that makes bringing up the kids just that little bit easier. We hope you have enjoyed this printable, and that you come back again sometime soon. We love sharing these ideas with you. Take care, and have a happy day!